UNC Health Care Hillsborough Campus is a community hospital which is an extension of UNC Medical Center focusing on many of our elective surgical programs. These programs are Joints, Spine, Ophthalmology, Urology, Benign Gynecology, and General Surgery. The 83-bed facility combines a community hospital culture with the innovative procedures and care for which the UNC Medical Center is known. The Hillsborough Campus includes the Medical Office Building, Emergency Department, Outpatient Surgery and Inpatient Services, as well as support services to provide integrated, convenient and patient-centered care. The CN II position is for the 25-bed surgical unit at the Hillsborough Campus. This unit provides acute inpatient services for the surgical patient population which includes Joint, Spine, Urology, and Benign Gyn admissions as well as medical overflow patients. We are looking for an experienced, energetic, patient-centered team member with a positive attitude. This unit fosters an environment that values diversity, team work, open communication, while proving exceptional service. This is a 36 hour/week rotating shifts but primary need is for day shift (7am-7:30pm) and is eligible for an extensive benefit package including PTO accrual based on the number of hours hired to work. Graduation from a state-accredited school of professional nursing. One (1) year of nursing experience. 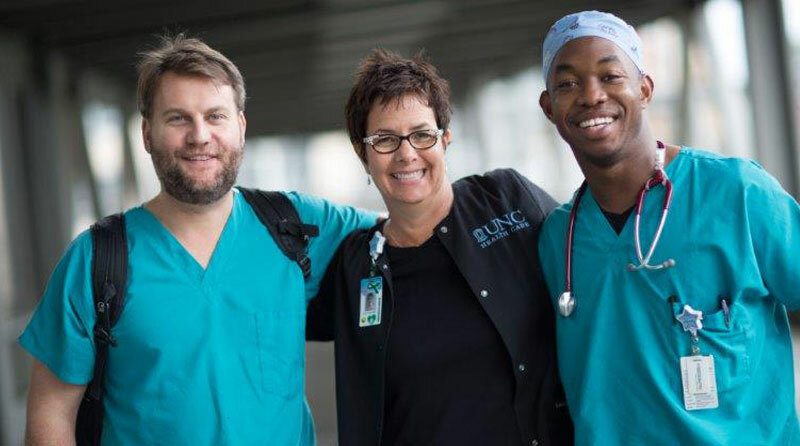 If hired after January 6, 2014, without a BSN or MSN, must be enrolled in an accredited program within four years of employment, and obtain a Bachelor's degree with a major in Nursing or a Master's degree with a major in Nursing within seven years of employment date. Licensed to practice as a Registered Nurse in the state of North Carolina. Current Basic Life Support (BLS) for Healthcare Provider certification.